What do our Customers say about of Levels of Service? We are committed to delivering the best levels of Customer Service anywhere. We have developed a unique approach in our Salon and now we're bringing it to on-line retailing. We wouldn't expect you to take our word for it, so here's what our customers have to say about us. We have many customers in many countries some of whom are kind enough to provide feedback to us. If you would like to see what customers from other countries have said about us, please select a country from the list below. Hi there I have been using pure beauty for a long time and the service I receive from you is brilliant keep it up. What a quick and efficient service. Many thanks. I will definitely be recommending your site. Thank you for such quick delivery and easy and professional service. I look forward to ordering from you again and I will be recommending your company to my friends and family. Hi, Just to say a big thank you to your team for the efficient and friendly service you gave me. I will definitely be shopping with you again. Great service. Very quick and even better when my clay cleanser came with a surprise pre-cleanse bonus! What with free samples too, I will definitely use Pure Beauty again. Thank you. I received my products today, Monday and I was delighted it arrived so quickly. Thank you. Hello, Very pleased with the quick arrival of my products and the free samples are very handy. All packed well, and very pleased with the products. All in all, very impressed. Look forward to ordering from you again in the near future. Good Afternoon, I would just like to say what an efficient and extremely quick delivery your Company provides. I received my order this morning after ordering it yesterday. I am most impressed....thank you. I just thought I must just let you know how pleased I am with your service. I ordered from you yesterday afternoon and received my parcel this morning. My order was for Skin Smoothing Cream but also got some extra products as part of special edition, lovely surprise. Christine packed my order so she must have been very quick to send it out. Thank you very much. Hi, I just wanted to say that I find your website and service excellent. 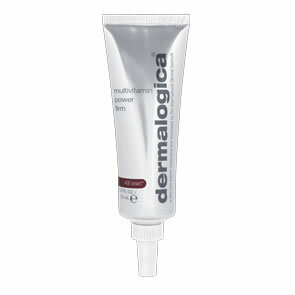 It always arrives in good time after the order has been placed and the free samples that you are allowed to have also help when wanting to buy other products within the Dermalogica range. I would definitely recommend your site to friends! Hi, I just wanted to pop a quick message to say that I'm so impressed and happy with your service. 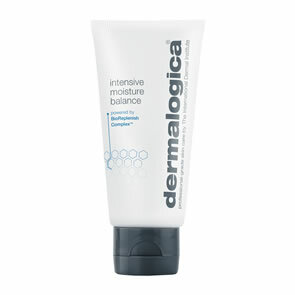 I've been a ((n) online) customer of yours for years (literally) and I've always been pleased, hence never going anywhere else for my dermalogica produce. Your delivery is always speedy (and free! ), for example I only ordered my latest batch yesterday morning and received my products today! You always give a generous amount of samples - even if I don't order the allotted amount, I find that more have been put in there based on the types of products I have ordered. And today, I opened my package to find a box in there of 'Limited Edition Skin Smoothing Set'. I'll admit, at first I thought 'oh no! They've sent me the wrong thing!' But no. You had sent exactly what I had ordered, just more! You gave me two extra products in the set and it was such a lovely and pleasant surprise after having a pretty awful day. It cheered me right up! I wanted to leave feedback on the site for potential customers to see but couldn't find a link (sorry if it's there and I'm just being a bit blind!) so thought I'd send an email instead. Thank You everyone at Pure Beauty. And Thank You Christine, for packing my products and giving me a nice surprise. My only regret is that I don't live local to come and visit your salon! Thanks again. So pleased at your speedy response - it was delivered this evening! Excellent - thank you!! My order has just arrived and I am absolutely delighted with it - I am travelling abroad for a three week holiday and knowing that I can order my absolutely essential items and have them delivered the next day, with a great saving and extra samples is fantastic. Your service is always excellent and you do go the extra mile to keep your customers happy. Thank you so much. I was delighted to receive my skin softening cream today within a special edition box containing travel sized pre-cleanse and special cleanser! This was a delightful treat and along with my free samples made the purchase very worth while. I adore the skin softening cream as I do feel it makes a visible difference to lines etc. I was delighted with my purchase, the fast and efficient delivery, secure packaging, free samples and a very, very competitive price not to be beaten! Excellent service! I'll be back soon. Just wanna say thanks, really quick delivery and little extra treats with my active moist :) very happy thanks!! !